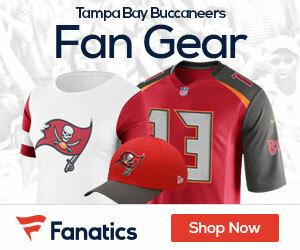 The Bucs have taken their name out of the running for HBO’s award-winning co-production with NFL Films, “Hard Knocks”. ProFootballTalk began a poll for a tournament to see who the fans want to see. The Bucs shouldn’t do “Hard Knocks” this season because they are young. Many of their young players may be distracted by the experience or becoming competitive for airtime. A shortened off-season means smaller playbook. With a smaller playbook, there will likely be a higher chance of something being given away on TV. “Hard Knocks” means having to follow Rex Ryan. I’d love to watch future seasons of “Hard Knocks”. I don’t get HBO but I did have a free preview during the last one and I don’t think anyone will best it. I’ll enjoy whoever does “Hard Knocks” but you wouldn’t want to be the first coach on air after Rex Ryan. This is probably the weakest reason, though, seeing that Raheem Morris is very funny and engaging. The idea that it would gain them a lot of new fans is a myth. Football fans will always be allured by talent and personality. Last season, Josh Freeman and Mike Williams won over a lot of non-Bucs fans for those reasons.